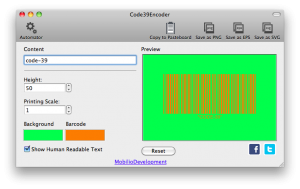 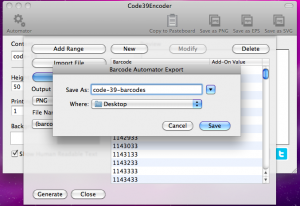 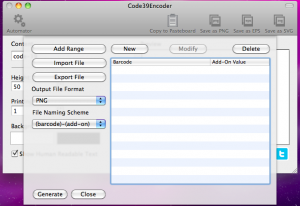 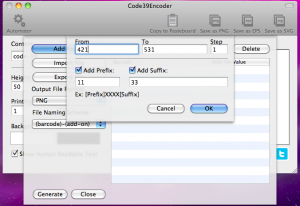 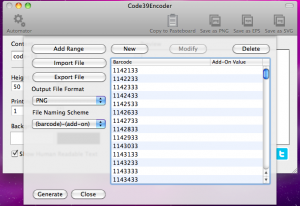 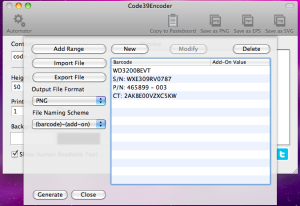 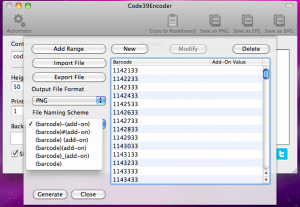 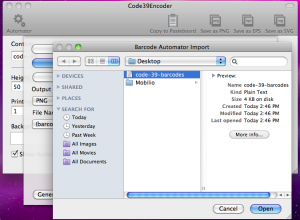 This Code39Encoder will alleviate you greatly in the process of barcode making. 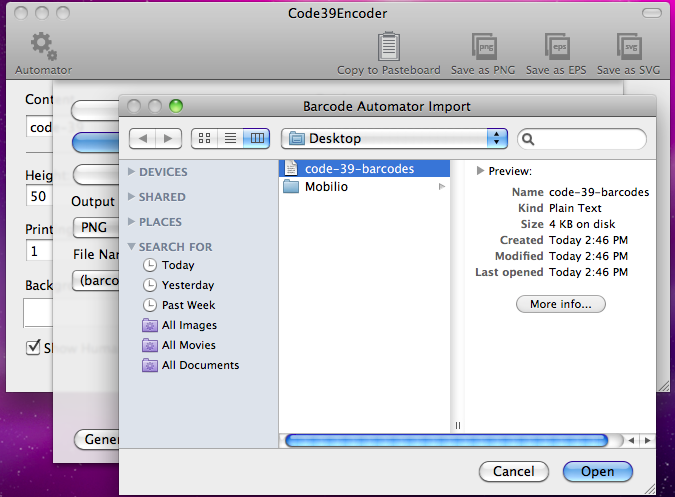 It is being distributed in the Mac AppStore at a moderate price. 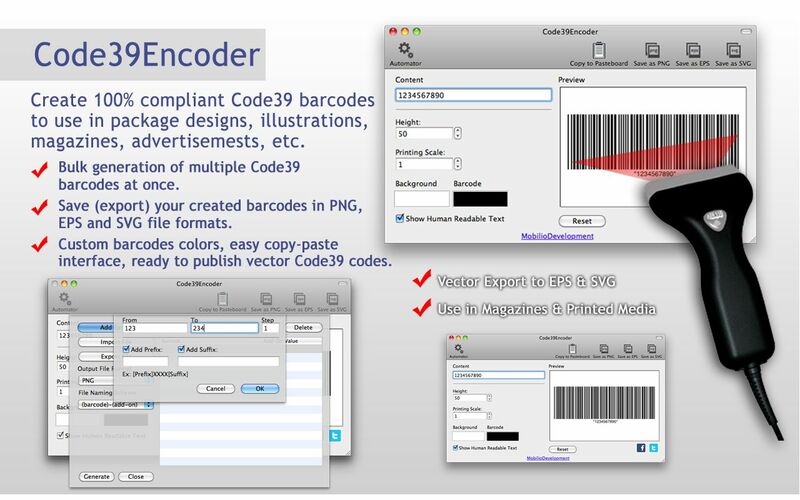 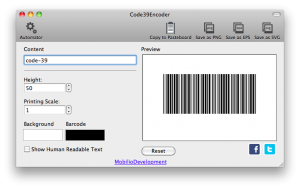 Check out our other great barcode generation apps: QREncoder, EANEncoder and Code128Encoder available on the Mac AppStore! To read more about Code 39 click here. Code 39 is an alpha-numeric barcode that is widely used in the industry, marketing and even by governments. 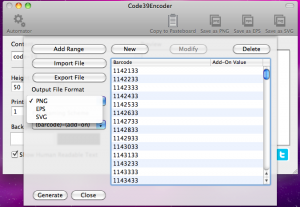 It allows you to encode all the uppercase (from A to Z), digits (from 0 to 9) and a number of other symbols (“-“,”.”, “$”,”/”,”+”, “%”, and space). There is also one special symbol – the asterisk (“*”) – which is used to designate the beginning and the end of the code for the barcode scanner. Before and after every Code 39 there should be a quiet zone of 10 narrow bars. 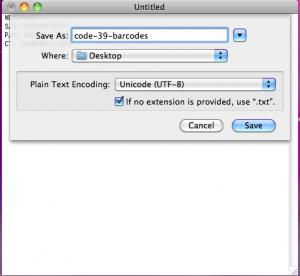 The method of encrypting is simple – each character is represented by nine elements: five bars and four spaces. 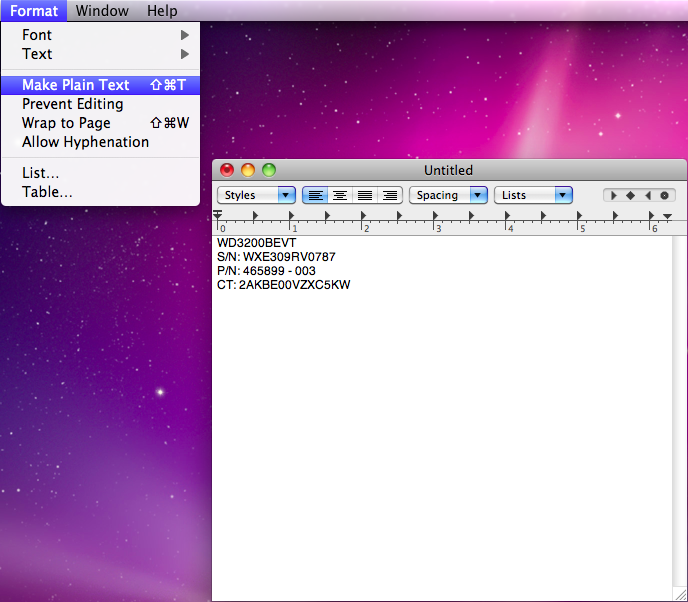 Three of these elements are wide and the rest – narrow. 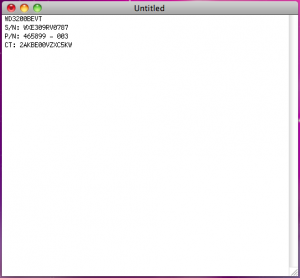 The ratio between wide and narrow depends on the width of the narrow elements – if it is greater than 20 mils (where “mill” is approximately 0.19 mm) the ratio is 2:1 or 3:1 and if less than 20 mils – 2:1 or 2,2:1. Basically there is no limit for the length but is accepted that if the data is more than 25 characters the barcode becomes too long. 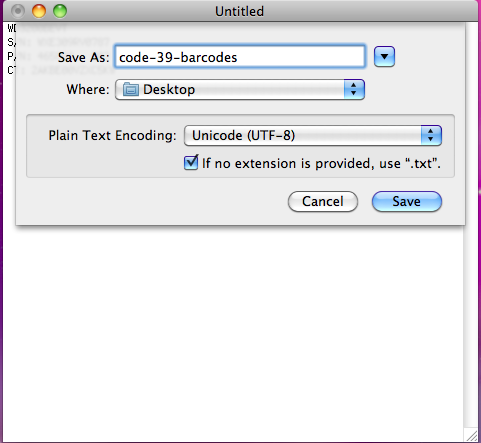 Created in 1974, Code 39 originally adopted only two wide bars and one wide space. This respectively resulted in only 40 possible characters. 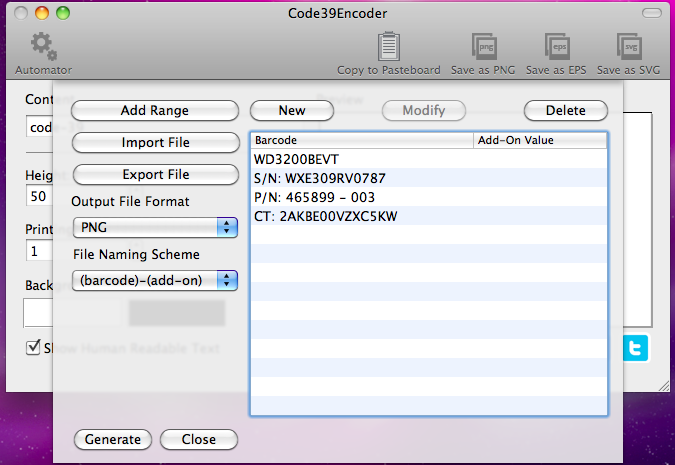 Without the beginning/ending symbol, they were 39 and that’s where the name came from. 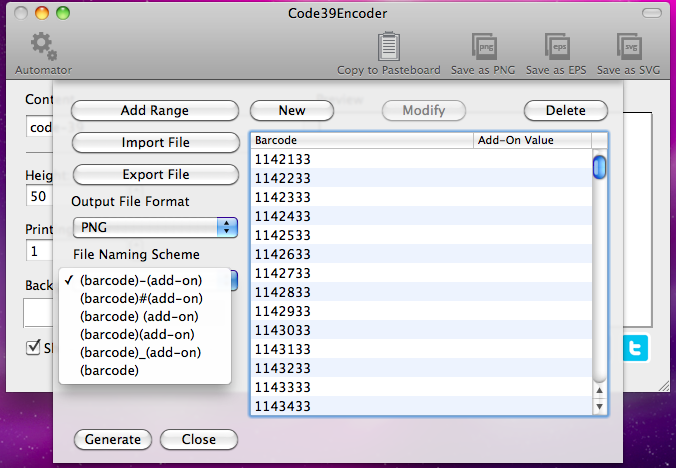 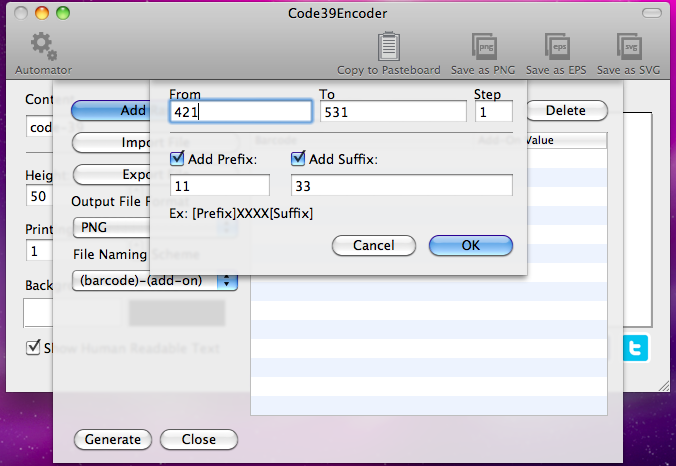 Here you can see how to work with Code39Encoder by watching our video tutorials.